This is another one from Melbourne that came to life through the will of an extraordinary women whom I met twice and with whom I had a most interesting exchange of ideas: Marylou Verberne, a former lawyer who went the social business way and founded Play for Life with the help of Social Ventures Australia. 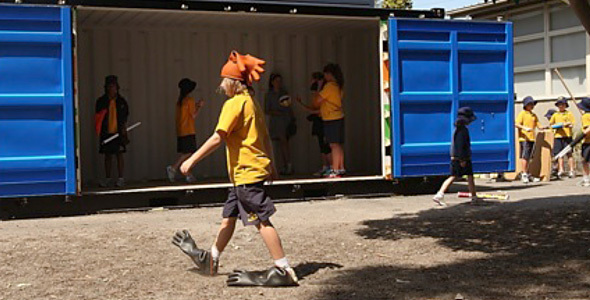 Their first project is The Pod, a modified shipping container filled with loose play materials. 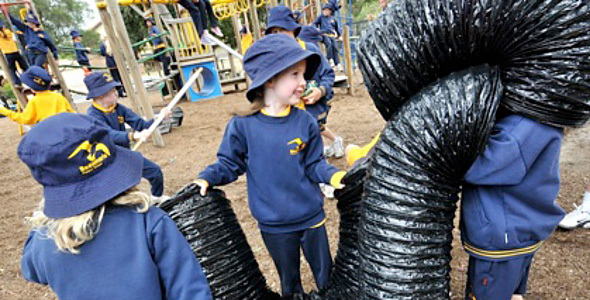 All of it is scrap — cleaned and becoming high-quality play material through careful selection and recycling. Among it you find car tires and steering wheels, cardboard tubing, milk crates, used keyboards and phones, fabric and dress-ups. 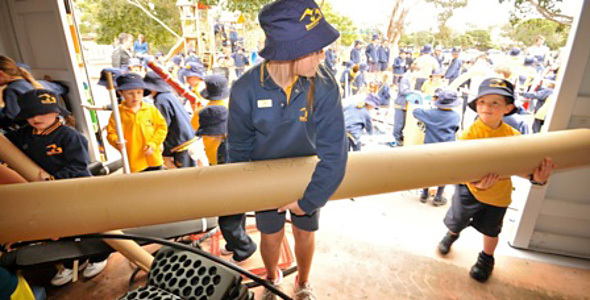 The Pod is delivered to school playgrounds to stimulate self-directed play opportunities at lunchtime and after school for kids. 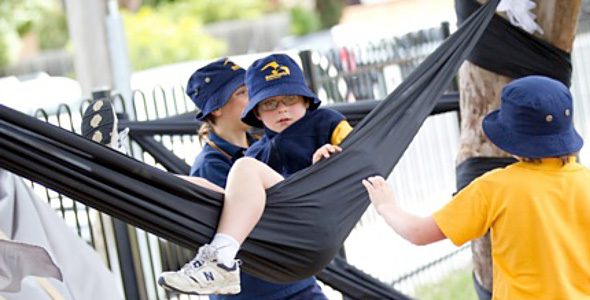 A Play for Life staff member works with the school community to train teachers and parents to ensure that the opportunities for rich, open-ended and self-directed play are optimised at school and at home. What motivated you to start Play for Life? I’ve been working in the not-for-profit sector with a focus on education for a number of years now, although my initial background and training is in law. Until recently, I was working as a Director of Social Ventures Australia (SVA), where we undertook an extensive research project into what change was needed in the education sector to best help disadvantaged Australians. Australia has quite a high standard of education amongst OECD countries yet in terms of its education equity, it rates quite poorly. I saw that there was a lack of interventions at primary school level in Australia but I came across some education models in the UK and the USA which were returning impressive results. Not only did I include these in my research report but also discussed them with passion with my then CEO, Michael Traill. Michael encouraged me to start up Play for Life, leading out with our first project, The Pod, given there was nothing really of its kind in Australia. Michael's words to me of "don't die wondering Marylou" rang in my ears for a few months as I contemplated leaving a great job at SVA to start up Play for Life. What’s the effect of the Pod within the school community? We are still in the initial demonstration project stage of the Pod and have committed to limit the growth of Pods to just ten schools this year. This will give us the opportunity of refining the deployment model, as well as the supporting teacher professional learning and parental awareness programs, which accompany the Pod. All deployment schools will be independently evaluated although we fully expect to see similar results to our UK and USA counterparts. How much interest does your project generate? We have not done a stitch of marketing to date yet we are receiving enquiries almost daily from schools that are interested in receiving Pods. We have been astounded (and to some degree, alarmed!) 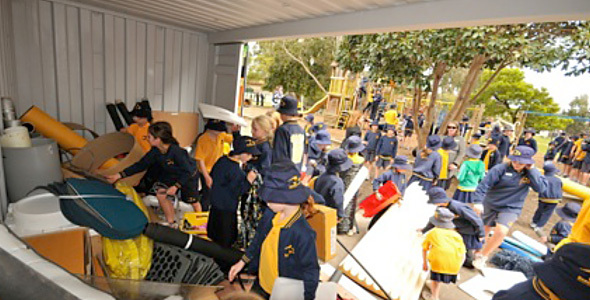 by the dire need for playtime solutions like the Pod in our schools in Australia. What’s the biggest challenge for the Pod? 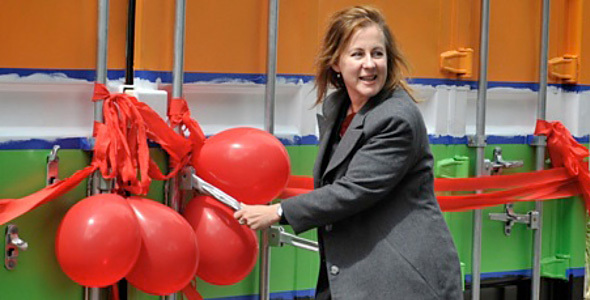 Our biggest challenge is getting our business model right, being able to supply Pods to schools at an affordable price. Pods require replenishment scrap around 6 to 8 times a year. 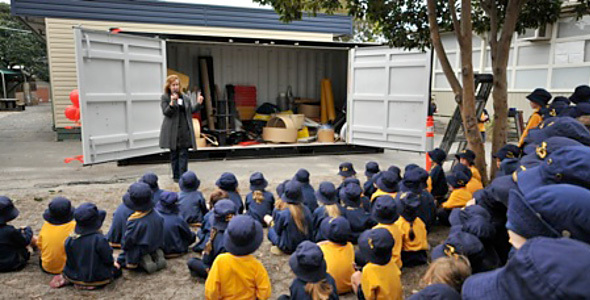 There is no shortage of scrap in Australia, but it’s difficult to effectively recycle the kind of scrap Pods demand. Our Pods are filled with scrap that nobody else wants and has no re-sale value, hence it ends up being send to landfill. Our biggest challenge is to develop an effective “rescue service” for Pod scrap and recycle it for a second life in a Pod at minimal cost. What is your vision for Play for Life? We believe that play is a critical part of every human’s life across age, gender, culture and socioeconomic status. As such, we aspire to embed play into lives of all age groups – children, teenagers, adults and the elderly. Our initial focus is on children as we see this is where we can have the greatest impact. By keeping play alive in our children we will create strong foundations for the communities of tomorrow. 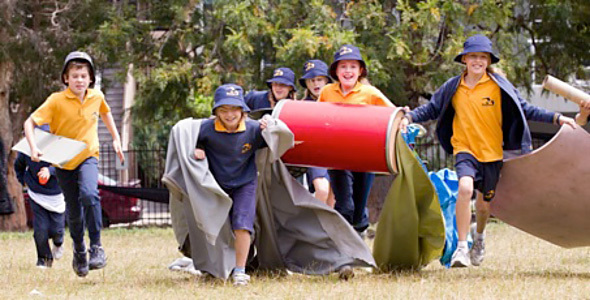 Ultimately we seek to embed play into the lives of all Australians. While our work is currently focused on metropolitan Melbourne, we have intentions of working with regional Victorian communities as well as those interstate. We foresee opportunities to collaborate with partners in embedding play into Southeast Asian communities. All photographs from this blog post are published courtesy of Fiona Basile and Playforlife. This material may not be published, broadcast or rewritten without explicit consent from Playforlife Australia. But we are happy if you tweet about this or link this article to your content!